OXFORD, Miss. — The No. 5 Rebels defeated Auburn, 5-4, in the first game of the series between the two teams. The No. 16 Tigers came to Oxford this weekend for an SEC matchup that is sure to have major implications on the final SEC West standings. 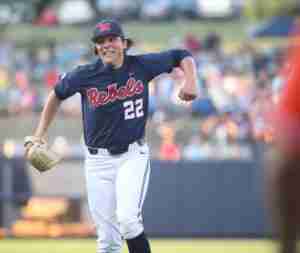 Thursday night’s Rebel win is sure to be big heading into Friday’s game two. Ryan Rolison got the start on the mound for Ole Miss and put in 6.1 innings of work. He improved his record to 7-4 on the season and put up five strikeouts, while only allowing five hits and two ER on the night. Scoring came easily for Ole Miss early on in game one. 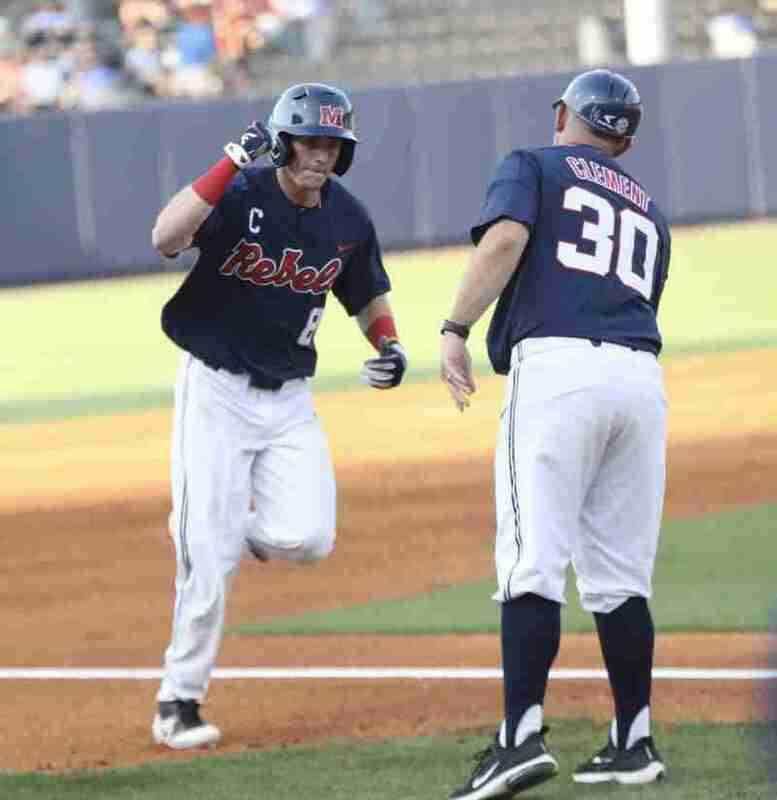 The Rebels jumped out to a two-run lead after a Will Golsan bomb, his fourth of the year. Rolison proved to be calm and collected with the bases loaded early. The ace successfully escaped the jam without giving up another hit, preserving the Ole Miss lead. Nick Fortes smashed his 11th homer, tying him with Thomas Dillard for the team lead, to give Ole Miss a three-run lead in the third. Tyler Keenan added to the Rebel lead with an RBI double in the fourth to make the game 4-0. “It’s always nice to come out and get the first game of the series,” Golsan said. Auburn would tack one on after a solo home run from Steven Williams, but Ole Miss would answer quickly when Golsan singled for his second RBI of the night. The Tigers threatened in the seventh when they put up three runs to make it a 5-4 game. One was scored on a wild pitch and the other two were unearned. However, Ole Miss’ Parker Caracci quickly shut down any hopes Auburn might have had of making a comeback. He was the Parker Caracci Rebels fans are used to seeing this year, striking out four of the eight batters he faced and only allowing one hit. Caracci picked up his ninth save of the season. “It’s hard to believe we’d be where we are without him,” Bianco said of Caracci. 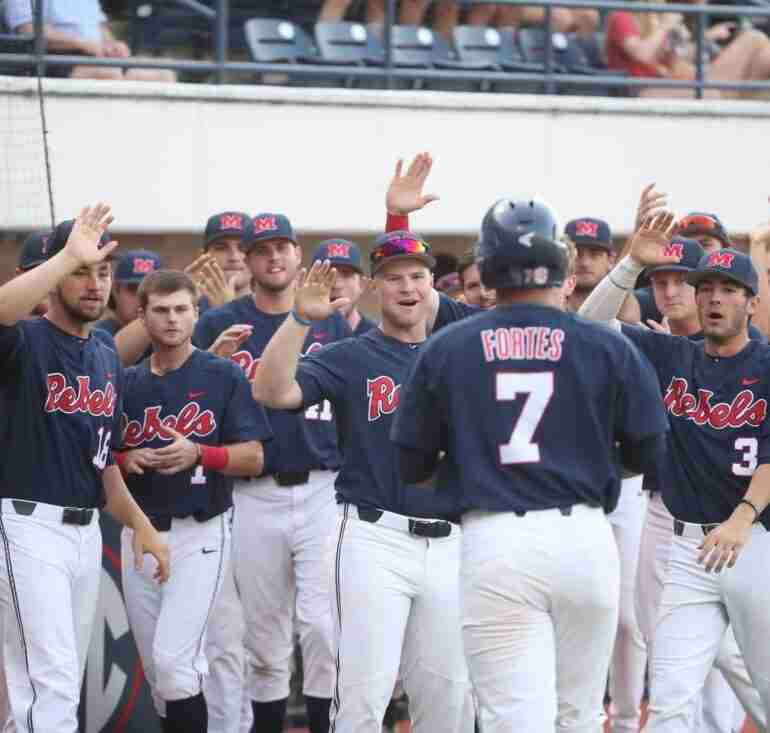 Ole Miss and Auburn play game two of the series on Friday at 6:30 p.m at Swayze Field.